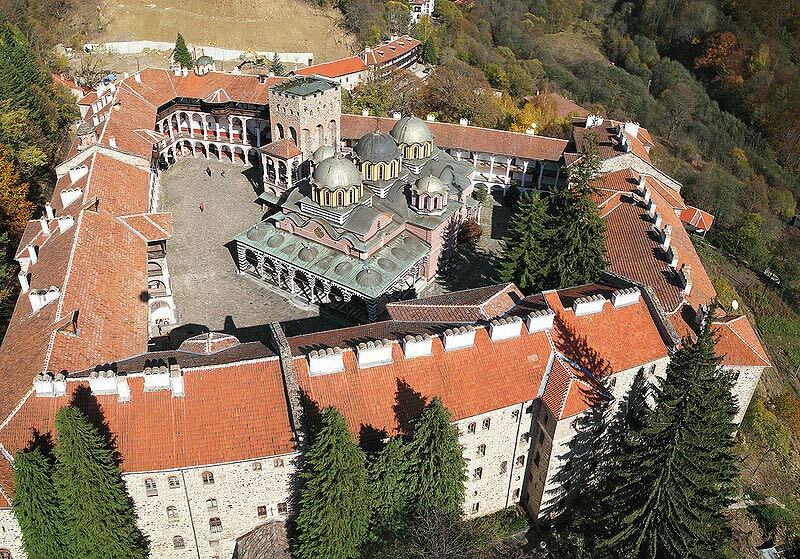 A visit to the Rila monastery is an unforgetable experience. Human imagination and the talent in combination with nature have fashioned true perfection in the heart of the Rila mountain, 150 km from Sofia. 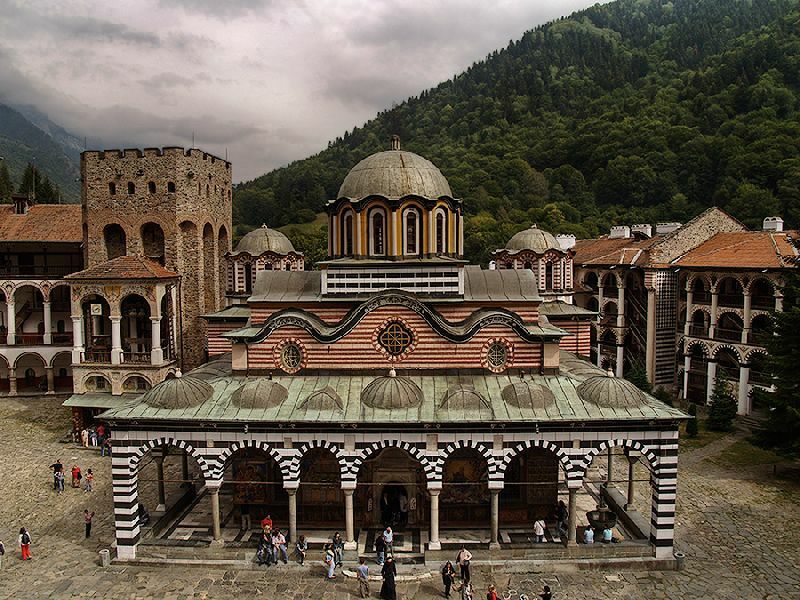 The Rila monastery is included in the UNESCO list of World Cultural Heritage. 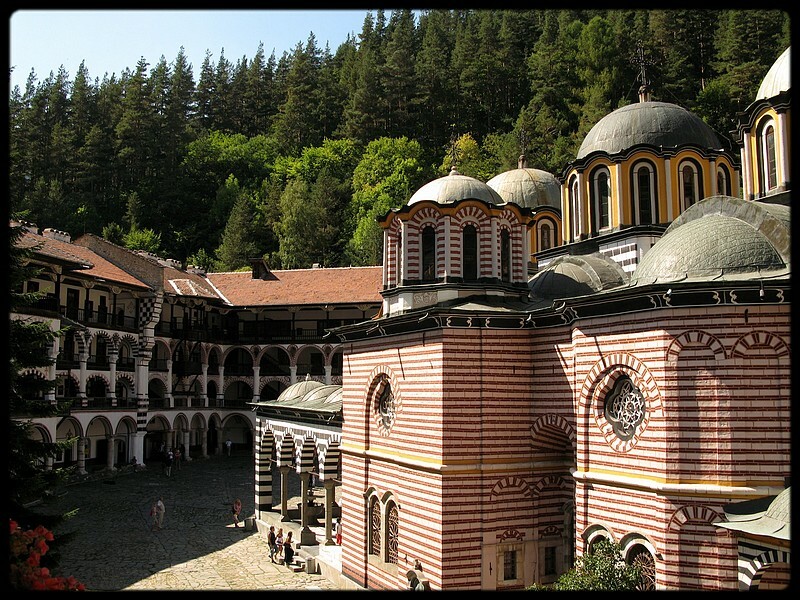 The Rila Monastery is the most exquisite example of the monastery art and architecture of Bulgaria. Founded in the 10th century by the monk Ivan Rilski, it has survived periods of both rapid development and decline through the years. Our driver and guide will pick you from your hotel. On the way (2 Hours drive, 240 km round trip ) your guide will tell you more about the history behind this famous place. In the monastery complex you will visit The Church "Birth of the Holly Virgin", The Monastery Kitchen - called Magernitsa, Hrelyo Tower, Transfiguration Chapel, The Museum and enjoy a tasty meal at one of the restaurants around the Monastery. A museum with a rich library is arranged at the monastery. The Rila Monastery is located in 1147 meters altitude in the middle of the fragrant coniferous forests of Rila Mountain. The monastery is a complex of cultural, dwelling and farming buildings which take about 8800 square meters. 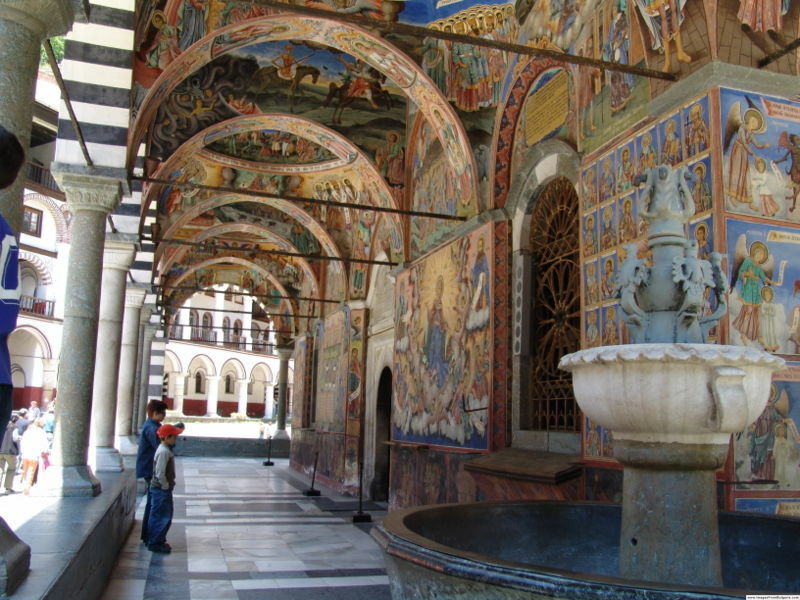 The Rila Monastery has an unique architecture. Outside, the monastery looks like a fortress. It has 24-meter stone walls which forms irregular pentagon. That's why when some tourist enters the monastery's yard from some of the two iron gates he is surprised by its architecture: arches and colonnades, covered wooden stairs and carved verandas and the 300-400 monastic cells. The temple has five domes, three altars and two chapels. Maybe the most important thing in the church is the iconostasis which has incredible wood-carving. The church of the Nativity of the Virgin is the monastery's main church and the core of the architectural ensemble. Its construction began in 1835. That was an event of paramount importance for the entire Bulgarian nation. This church building is unique in the Balkans. It was built by the then widely known master builder Pavel from the village of Krimin who had worked on Mount Athos and from where he borrowed the original spatial design of the church. 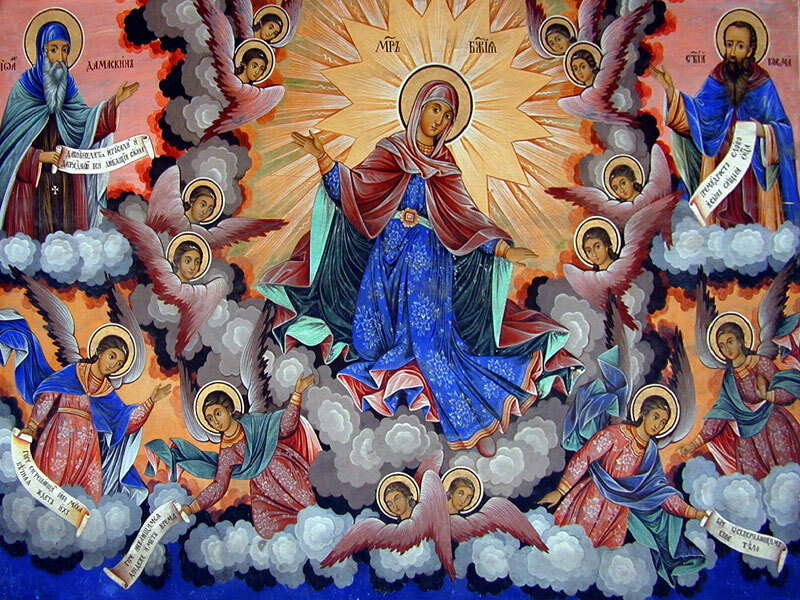 The compositional scheme includes medieval elements and baroque spatial principles, an approach which distinguishes Bulgarian church architecture and whose features are observed in the art of the epoch.